January is a good time to review your finances for the previous year and start organizing the documents and information you'll need for preparing your tax return. One technique I've been using with some of my clients is to make a list of various types of income and tax-deductible expenses you had for 2011. When your tax documents arrive in the mail, you can check them off your list. In this way you'll know when all your documents have arrived, and then you'll be ready to file your tax return. 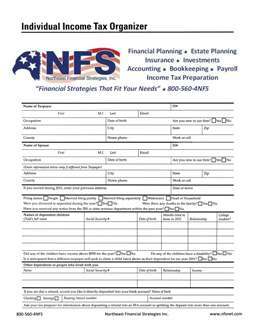 This technique is especially useful if you have lots of documents, as it can help both you and me, your tax preparer, ensure that all items have been accounted for. 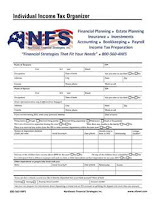 Now each person's checklist will look a little bit different, since we all have slightly different financial situations. Once you develop your checklist, you'll be able to tell when you have all your documents ready, and you'll be able to cross-check your progress in your tax software or be able to cross-check your tax preparer's work. Your checklist can be as detailed or as simple as you need it to be. If you want to avoid having to create your own checklist, you can download a copy of my organizer here.